Everyone knows the 500 lb gorilla when it comes to outdoor coolers but there are some great, if not better alternatives for half the price on the market today and Pelican is right there at the top of the list. 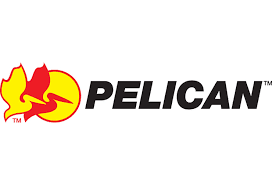 With offerings ranging from gun cases to water bottles, Pelican has you covered for whatever adventure you're looking for. I'm more of a lounge at the beach kind of guy and soft side coolers fit that bill perfectly. 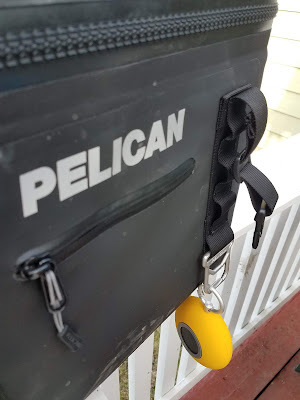 With a compression molded anti-slip base the SC24 goes from being strapped on your kayak to sitting in the sand next to your lawn chair with absolutely no issues. Featuring two buckles and stainless steel tie downs, that double as a bottle opener this baby can go through anything you can and come out the other side just fine. They say it fits 24 12 oz cans, and trust me it does, and still has room for ice. The leak proof T-Zip makes for a care free carry and the easy access top flips open like a treasure chest filled with your favorite beverages. 48 hr ice time, giant handles and a optional duffel bag strap make this the ultimate soft side companion. I recently did Blue Ox in Eau Claire and the 48 hr ice time is pretty accurate. 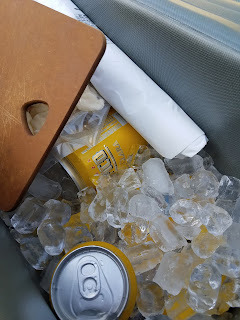 Granted I had to open the cooler multiple times to replenish my beverage but Sunday morning the beer was still cold. Over all I'm impressed with the unit. The opening is huge when fully unzipped and that screams volumes. No need to have someone help you load it or run the risk of looking like you went through the shredder when grabbing a beverage. This is a solid cooler for a solid price. Gets the job done and looks good doing it.